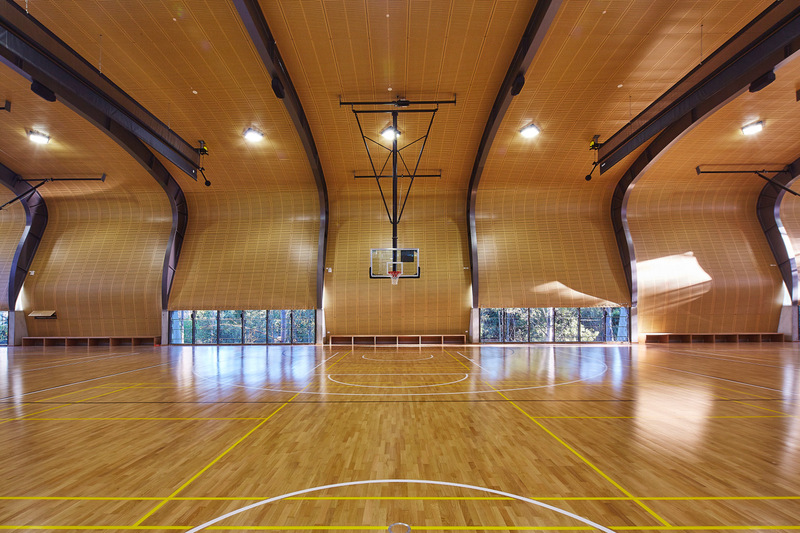 A school gymnasium and sports field in suburban Wahroonga, Sydney, has beaten a stellar international field to win the Sport in Architecture Award at the 2018 World Architecture News (WAN) Awards held in London. Designed by Sydney-based Allen Jack+Cottier, the Judith Poole Sports Hall and playing fields at Abbotsleigh School beat five other finalists vying for the prestigious award including the $404 million Manchester City Football Academy designed by Raphael Vinoly Architects and the $951-million French Groupama Stadium designed by stadium specialists, Populous. It has been estimated the cost of the Abbotsleigh School facilities was between $10 million and $15 million. The Abbotsleigh project comprises a new multi-purpose sports hall, elevated sports field, fitness room, large flexible teaching/dance studio spaces, tiered spectator seating, amenities, viewing areas, and two large undercover car parks. Its location adjacent to the existing aquatic centre and sports oval consolidates the sporting precinct of the School. Other competing bids for the award included Bilbao's IDOM-designed $335-million San Mamés football stadium, the home of Athletic Bilbao and the $720-million Golden 1 Center arena in Sacramento, California, designed by AECOM. “To see our sensitive building that sits lightly in its native Australian environment up against internationally acclaimed buildings such as the mega San Mamés Stadium in Bilbao was incredible, so it was almost overwhelming when it was announced as the winner,” AJ+C principal architect Michael Heenan said. Heenan and the AJ+C team started working on the building in 2012 following a three-year master planning phase before the building was completed in 2015. 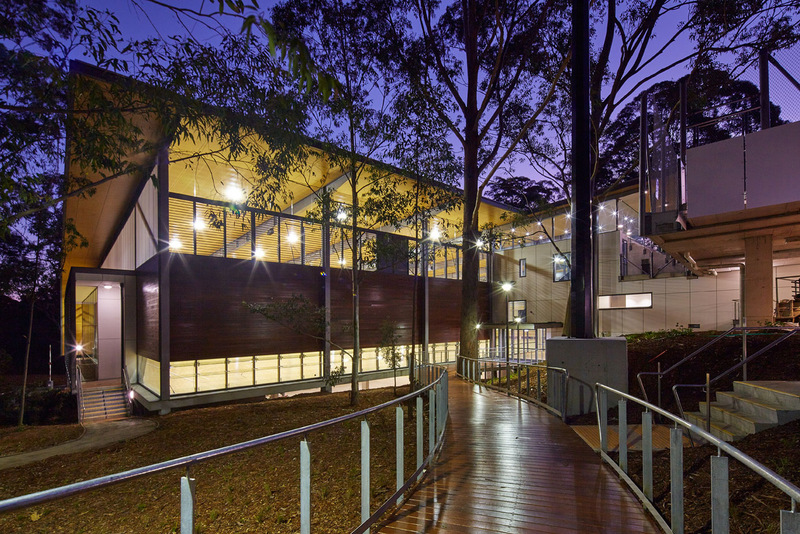 The Abbotsleigh facilities also won the top NSW award in 2016 for educational architecture.